A simple but effective calico bag that looks fabulous with a print decoration! 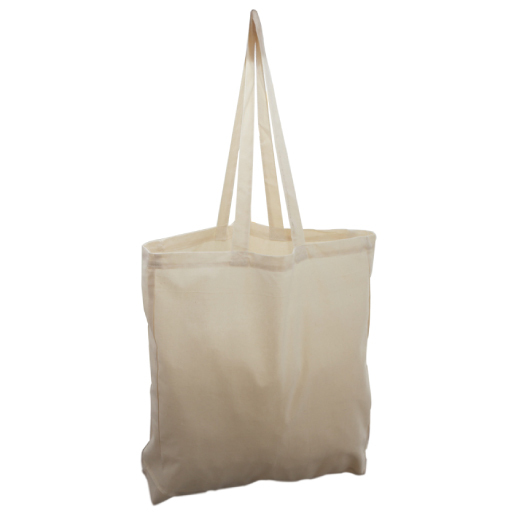 Organise and carry everything you need with this all natural cotton calico bag. This bag will keep all of your necessities handy wherever you go. Made from natural cotton fabric and features sturdy short handles. It is available in natural colour and has a full gusset.